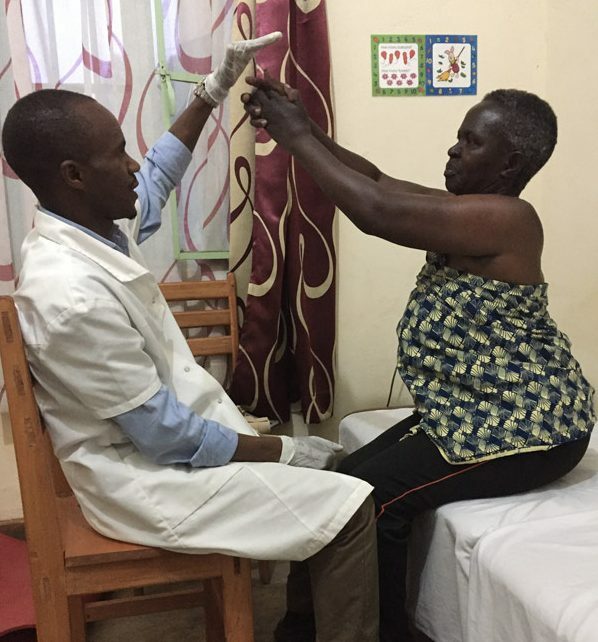 Diogene Murwanshyaka is lead physiotherapist at ASFA Physio and works together with a small team of one Physio Assistant, four Therapeutic Assitants (carers) and an all important, laundry lady. 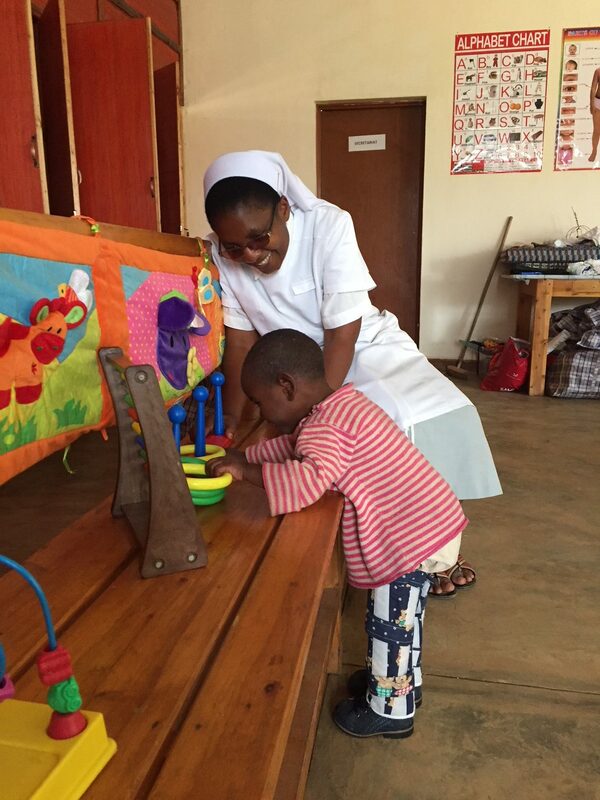 The team are currently treating 10-12 paediatric inpatients, a small number of adult outpatients and oversee care in the community for 176 paediatric outpatients. 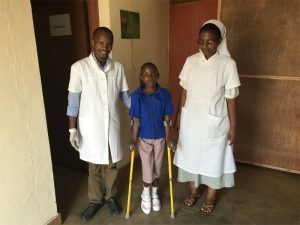 We see children with developmental delays and disabilities including cerebral palsy, club foot, Down’s Syndrome, genu valgum, autism, club foot, trauma, cerebral malaria and many congenital syndromes. Hunt Physiotherapy, founded by Kate Hunt, was accredited by the Rwandan Allied Health Professionals Council in May 2018 as an official provider of Continuing Professional Development (CPD). 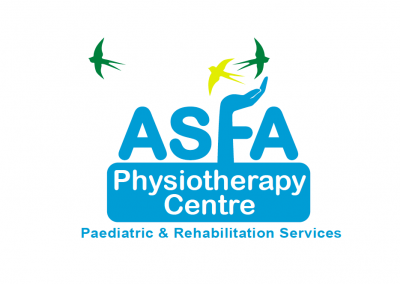 Together with local courses, ASFA Physio staff are therefore well placed to stay at the forefront of their field, despite the centres remote location. 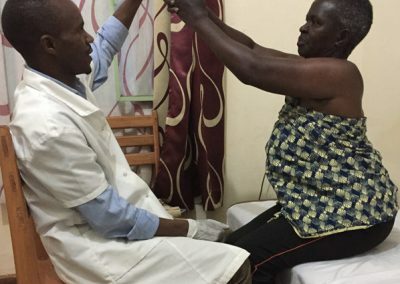 There is huge demand for physiotherapy services in the Muganza area and our current building is bursting at the seams. We love a challenge (!) and are keen to meet this demand so please read ASFA Future to learn about our exciting plans for a dedicated physiotherapy centre. 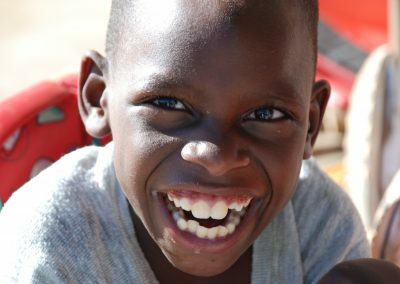 Please join us to Make a Difference and make this project a reality! 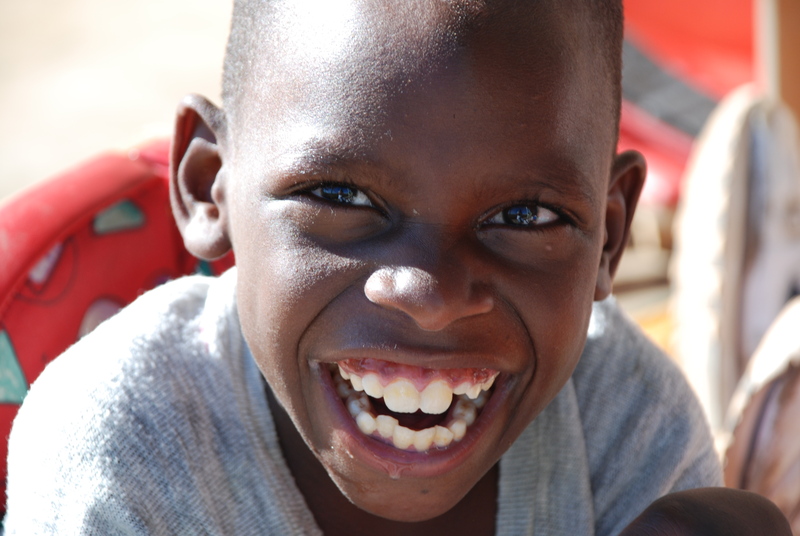 ASFA is the only centre (we think!) 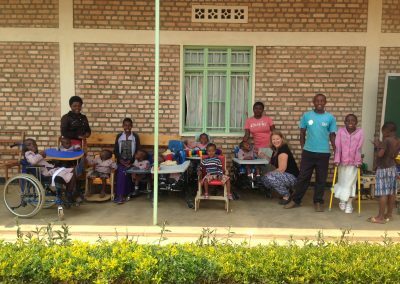 in Rwanda that provides physiotherapy treatment through play. 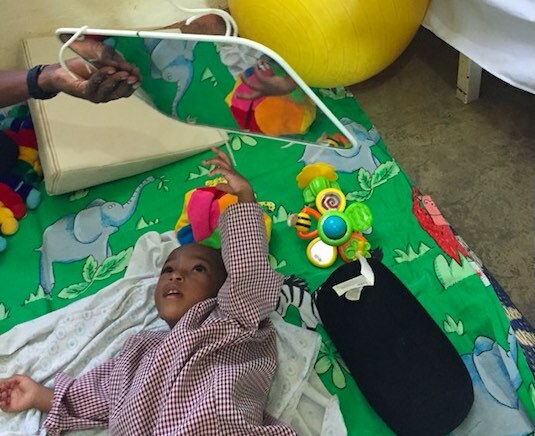 Focusing on developing gross motor skills such as rolling, sitting, crawling, kneeling, standing and walking, the aim is to facilitate each patient’s normal development and independence. 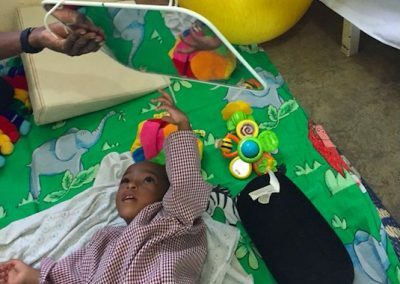 A stimulating environment is created with toys and therapy equipment and different learning activities are devised to meet the treatment needs of each child. 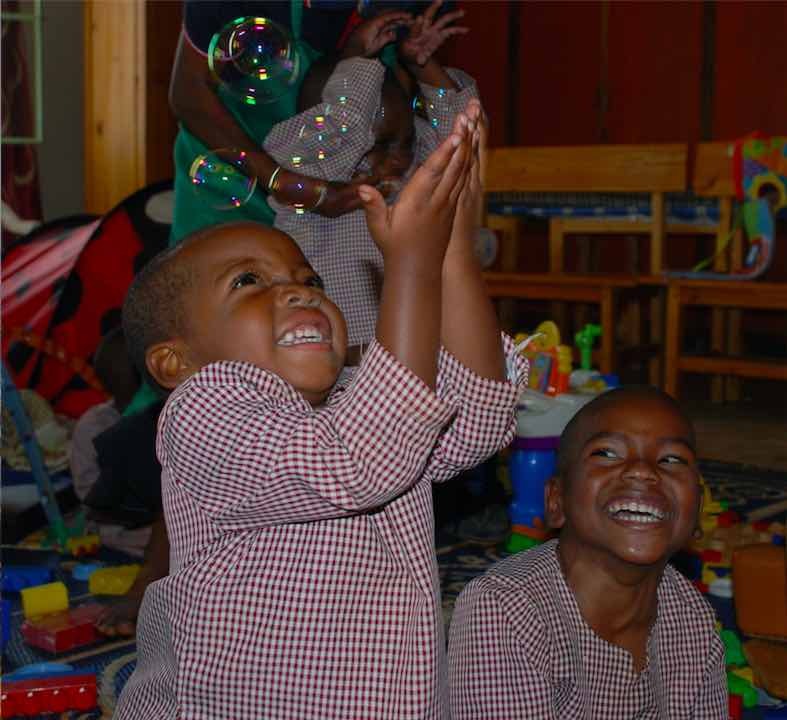 Supporting parents and carers to carry on play therapy principles at home is a vital part of what we do as well as building a supportive network for families of disabled children. Please click on our case histories to learn about some life-changing results. 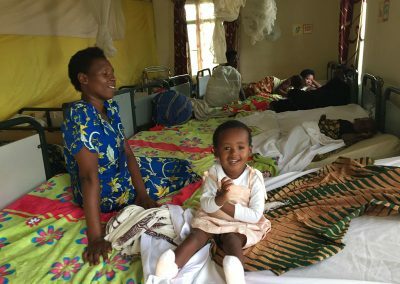 For those travelling from remote villages for treatment and medical assistance, ASFA provides accommodation for inpatients and our full-time carers. 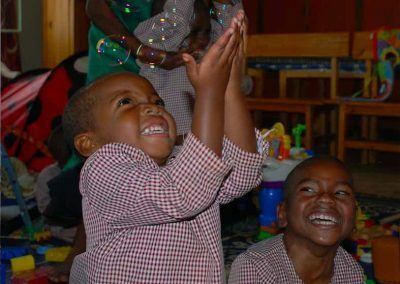 ASFA runs year-long sewing courses to give young women the chance to learn a skill and, ultimately, the ability to earn a living. To date, 10 women have graduated from the programme. 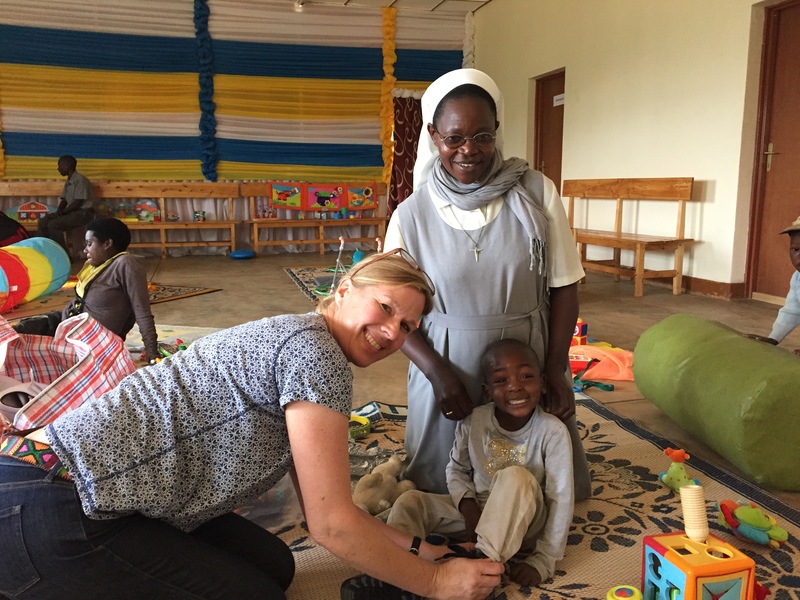 Of these, five now own their own sewing machine and work full time, one hires a machine when she has freelance work and four work on a freelance basis and use the ASFA machines when needed. ASFA currently has five new students doing the course and we know demand for places is high. Having started life on the verandah at ASFA, the course has now moved to a dedicated space close to the Muganza high street where the students can sell their products and services more easily. 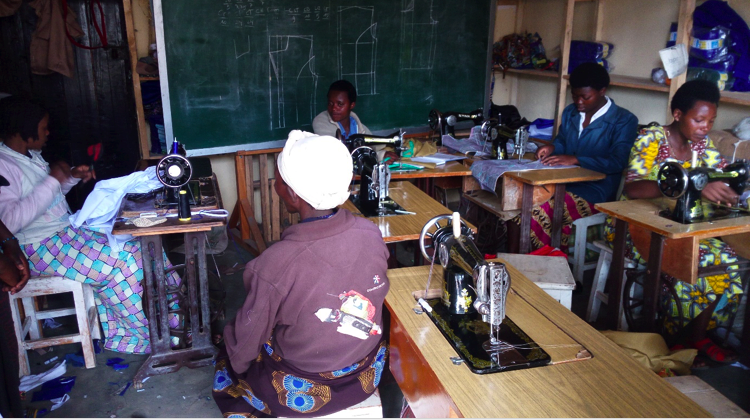 It costs approximately £80 to buy a sewing machine which allows a graduate to be income generating immediately. 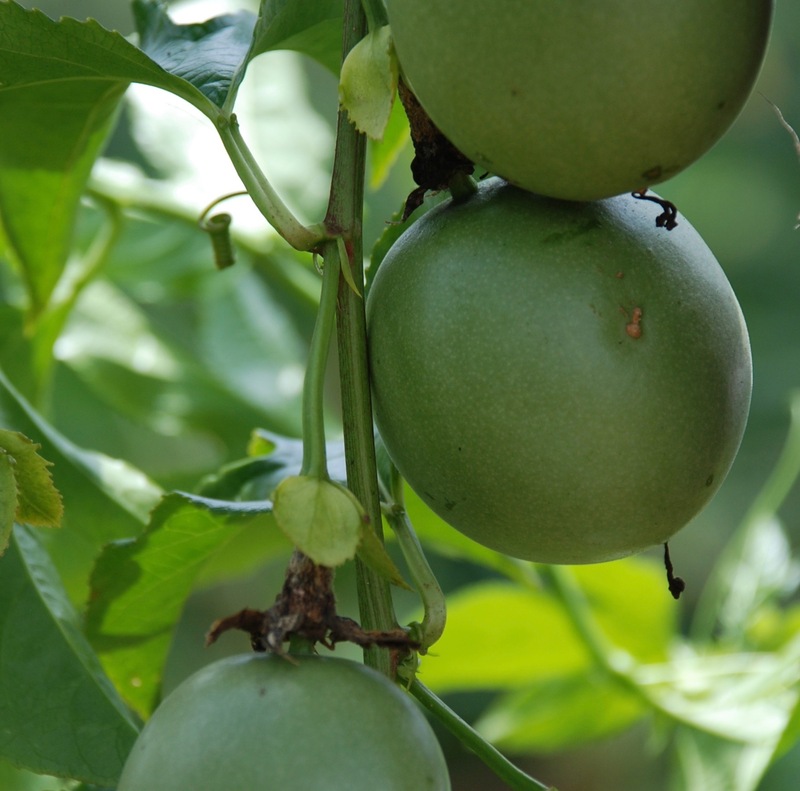 ASFA grows crops including bananas, avocados, strawberries, beans, cabbages, potatoes, sweet potatoes and the most delicious passion fruit in the surrounding fields. It costs approximately £5 to buy a selection of seeds to cultivate. 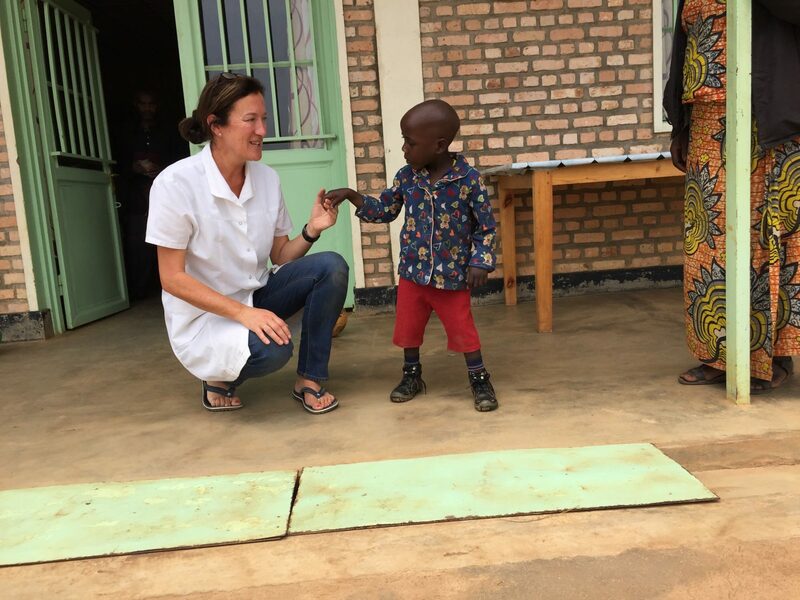 Malnutrition has long been a pressing issue in Rwanda. ASFA runs classes on how to sow crops more efficiently and how to cook to maximise nutritional value. 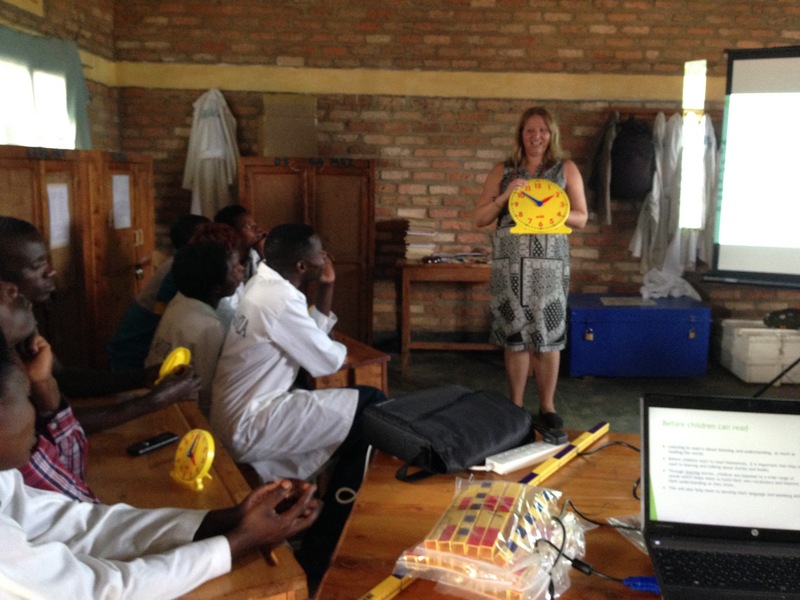 Visiting UK teachers and physios have run annual CPD sessions since 2014 and our UK physio’s became accredited providers to the Rwandan Allied Health Professions Council in May 2018. ASFA Physio staff hold safeguarding (child protection) sessions every month and the topic is on the agenda at weekly staff meetings. 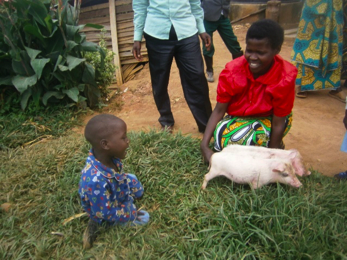 Local residents are given one pig, commit to pass on the first female offspring from their animal to another local family and agree to provide training for its care. 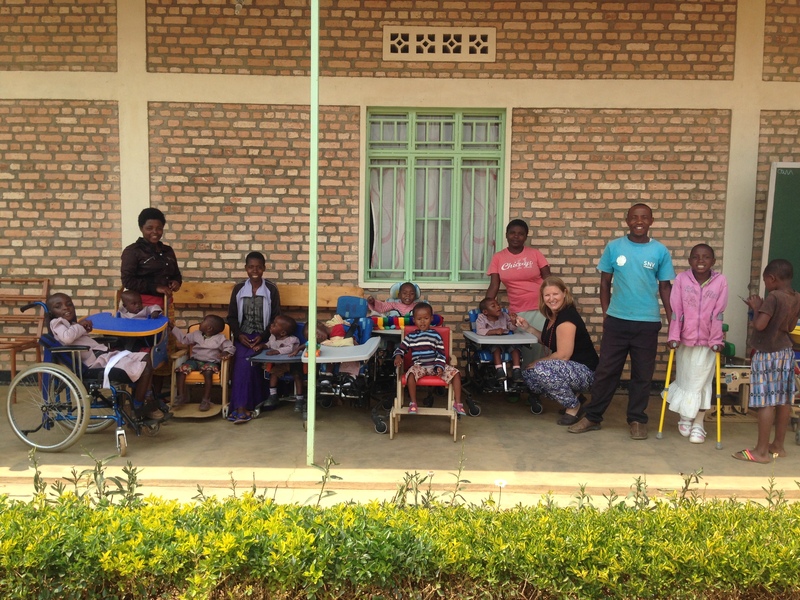 So far, 11 families have benefitted from the programme with families with disabled children registered at ASFA being given preference. Farmers who complete the training successfully are often able to provide better nutrition for their families, take out basic health insurance, send their children to school, raise income from produce and often buy further livestock. 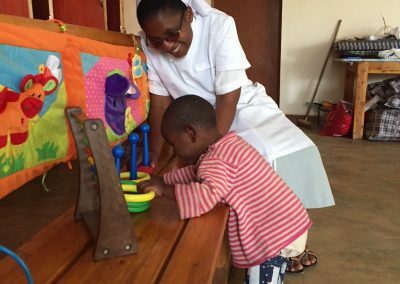 50 chickens lay eggs to help feed ASFA staff and inpatients. As with the milk, excess eggs are sold at market to generate income. It costs approximately £10 to buy a chicken. 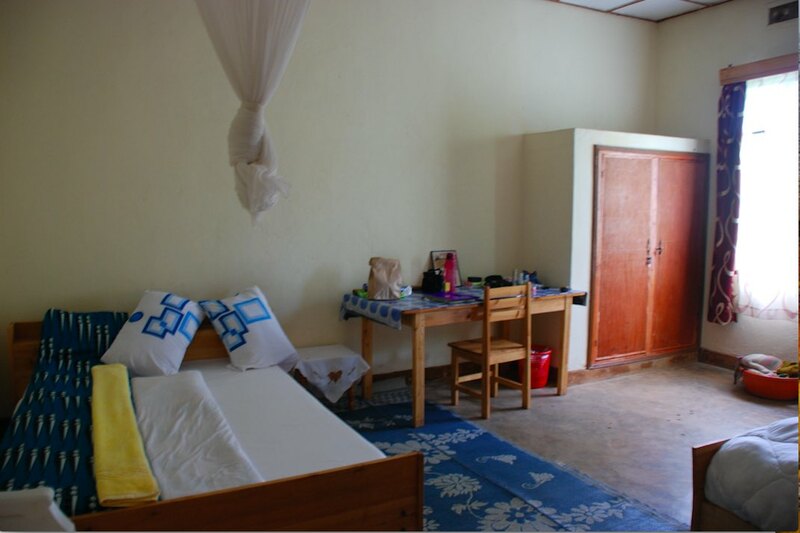 ASFA has four guest bedrooms with ensuite facilities and full board for visitors. 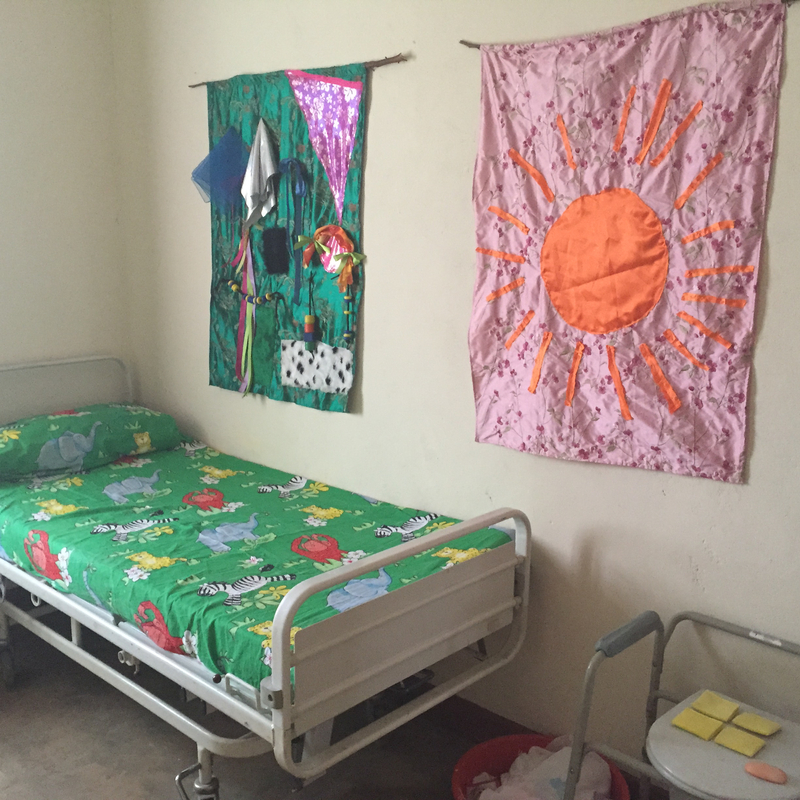 This is an income-generating project and is available to volunteers, NGO workers and visitors to the area. 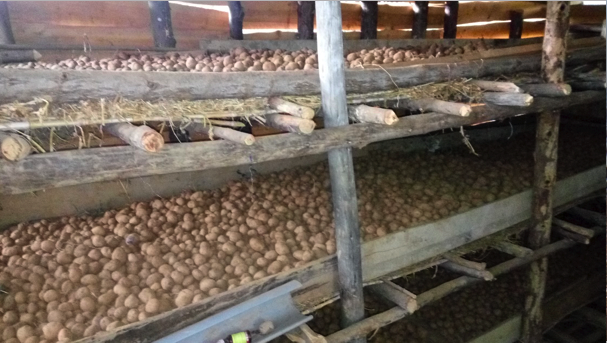 Cultivation of fruit and vegetables and basic animal husbandry (pigs, cows and chickens) also contribute to the project’s sustainability with excess produce sold in the local community. It costs approximately £40 to buy a pig. 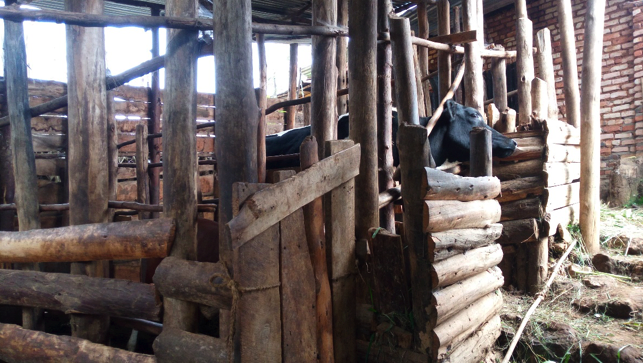 In addition to the pig scheme, ASFA currently has six dairy cows whose milk is given to inpatients. Excess milk is sold at market to generate income and any by-products used as compost used to help cultivate the crops. It costs approximately £500 to buy a cow. A SFA’s large multi-purpose hall can be hired out for events, with income earned from catering services.